Crooked Lane Books, 9781629539904, 336pp. It's been twelve years since ER nurse Frankie Stapleton fled the quiet banks of Stillwater, but with her sister's pregnancy taking a dangerous turn and a string of failed relationships in Chicago hanging over her, Frankie is back-and hoping to put the past behind her. 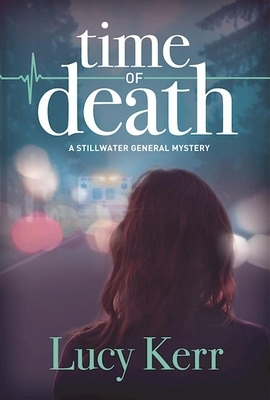 Within minutes of arriving at Stillwater General Hospital however, she ends up saving a man's life, only to have him turn up dead hours later - and the hospital blames Frankie. Her instincts say Clem Jensen didn't die of natural causes, but the more she digs, the more she discovers too many suspects, a few surprising allies, and some hard truths about the first man she ever loved-and left. Now the boy she once knew is a skeptical sheriff's deputy, her family's hardware store is in jeopardy, and the rift between Frankie and her loved ones is deeper than ever. With her career-and future-on life support, Frankie must catch a killer, clear her name, and heal the wounds of the past in Lucy Kerr's enthralling mystery debut, Time of Death. Lucy Kerr lives outside of Chicago with her family, her cat, and many, many piles of books. She likes strong coffee, rainy days, old buildings, and fresh-baked cookies, but she likes telling stories best of all.